Maybe you don’t have a lot of time. Maybe you’re on a diet and only want a small treat. Or maybe you want to limit the amount of cake crumbs available for little people to scatter around the house. For us, the best reason for making this chocolate cake is the one-minute wait. Just this once, kids, have your cake and eat it too. 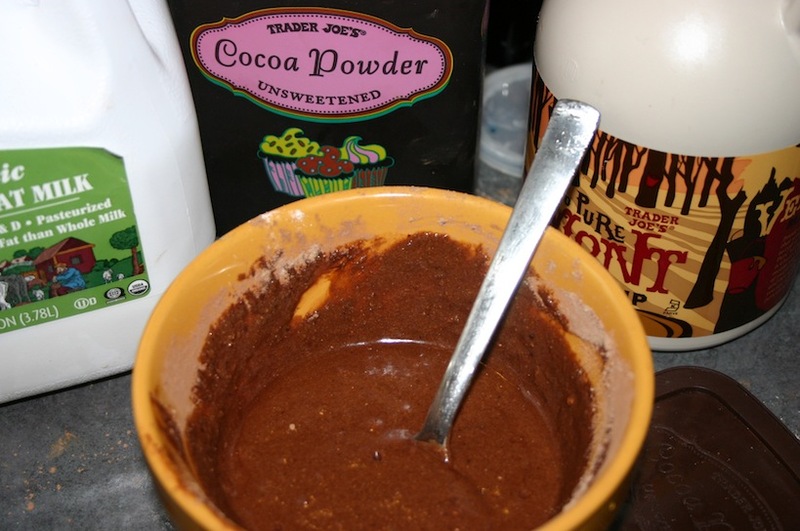 Mix the flour, cocoa powder, baking powder and salt in a bowl. Add the maple syrup, oil and milk and mix. 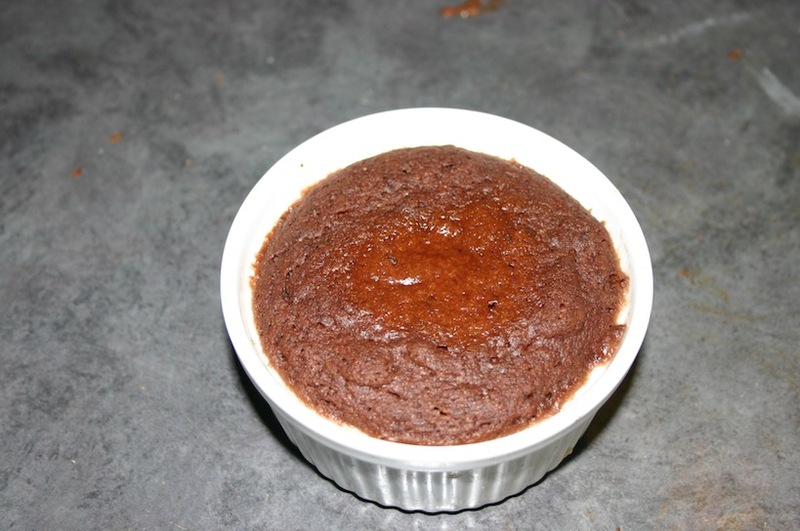 Pour ingredients into a ramekin or a mug. Microwave for 1 minute.